Live the life you deserve! 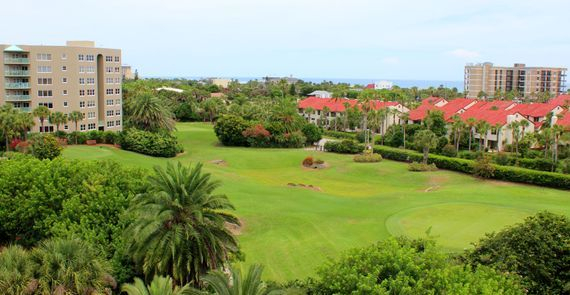 Imagine living in a spacious penthouse where just steps from your door are a 3 par golf course, tennis courts, pickleball, shuffleboard and bocce courts. Walk to the Community Center where you can shoot a game of pool or play ping pong, exercise or learn to play a ukulele or paint like Bob Ross. Check out these views! 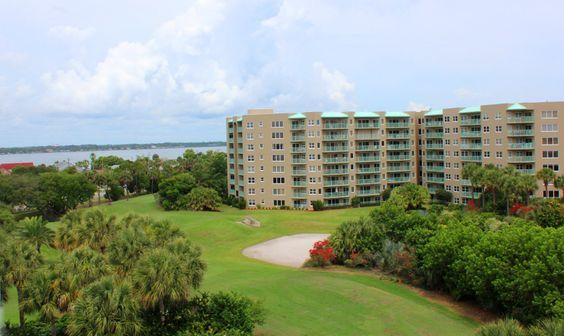 Your condo has two, 22 foot balconies with spectacular views of the 11th hole of the Oceans West Golf Course, the ocean and the Halifax River! This is a three bedroom, three full bath, 2,150 sf condo. You don't have to leave your complex to enjoy two outdoor pools and one heated indoor pool, a fitness center, hot tub, and sauna. Take a leisurely stroll through the trees to Publix or Walgreens. Best of all, it's just a five minute walk to the World's Most Famous Beach. Live in this two story penthouse and enjoy life at its best. Don't believe what they say - You CAN have it all!